Sleep serenely with this upholstered bed. 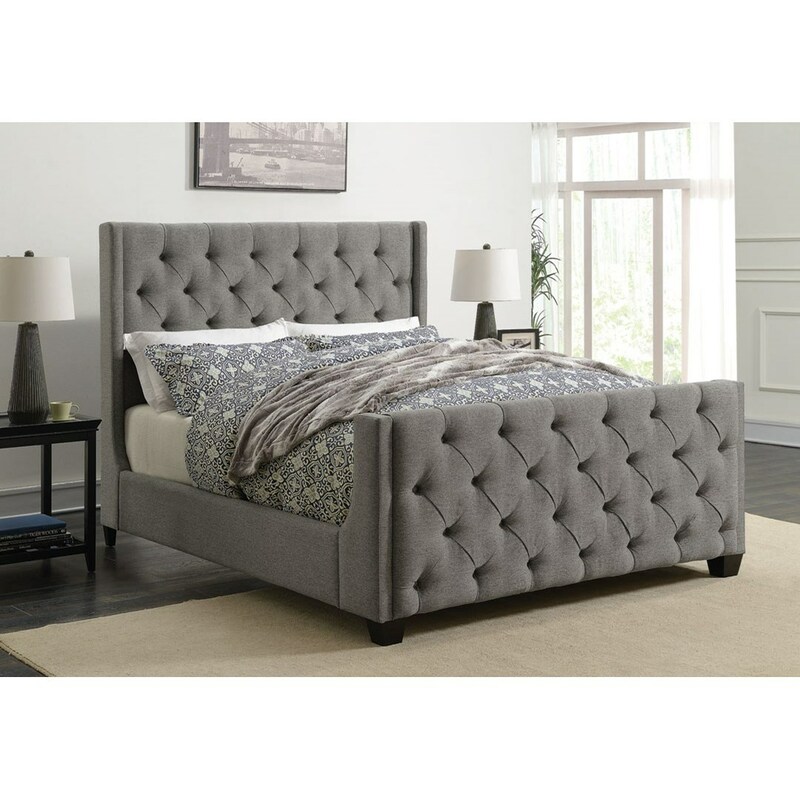 The headboard and footboard are button tufted and feature slight winged edges, while solid birch legs in a black finish support the base. Exuding transitional style and cushion comfort, this bed is a wonderful introduction to a plethora of bedrooms. The Palma Upholstered King Bed with Button Tufting by Rooms Collection Two at Rooms Furniture in the Houston, Sugar Land, Katy, Missouri City, Texas area. Product availability may vary. Contact us for the most current availability on this product. 300708KEB2 King Bed Box 2 1 0" 0" 0"
300708KEB1 King Bed Box 1 1 0" 0" 0"
Browse other items in the Palma collection from Rooms Furniture in the Houston, Sugar Land, Katy, Missouri City, Texas area.